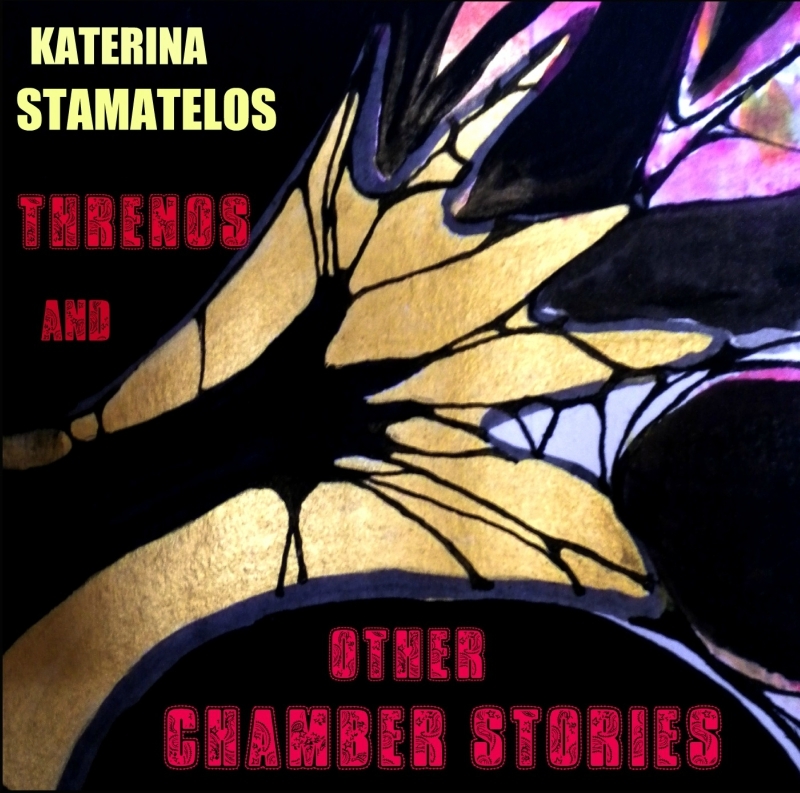 Nocturn No.2: a Composition for Violoncello and Piano by Katerina Stamatelos. NOCTURN No.2, op.8a: composed for violoncello and piano (1997). Composition commissioned by: James Ellis. James Ellis, violoncello; Katerina Stamatelos, piano. Composers’ Workshop Concert, Harper Hall, The University of Iowa School of Music, Iowa City, IA, April 28, 1997. Nocturn No. 2 is my first serialized composition. It is not based on traditional "themes" but on two matrices. Matrix A has 9 different pitches while Matrix B has 12. Their first entrance (in the solo piano part) appears in an accelerando (Matrix A) and ritardando (Matrix B) form. Based on the two matrices, a whole set of intellectual games has been applied. Matrix A has been reconstructed in 9 different ways, based not on rows but rather on graphic motions that I used. Matrix B has been reconstructed 12 times: purely by chance. All melodies, and the few chords I used, are exact applications of the two matrices and their 21 rotations. For example: two rotations have been rotated around themselves and used as ostinato melodies in the left hand of the piano and the cello part. Chance rows also produced some unintended triadic formations. Due to that fact, the composition gives the impression of having some sort of "tonality." The most interesting effect this writing method had on me, was that what started as a game (while working with these constant rotations) soon hypnotized me: what followed then was more the product of a subconscious state of mind rather than that of a "cool" intellect. The "set" of Nocturn No.1 and Nocturn No.2 was finally performed by James Ellis as part of his final doctoral recital program (at The University of Iowa School of music). The recording of Nocturn No.2 was done during the live performance of the work at its world premiere, as stated above.